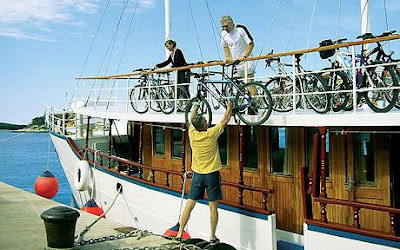 Fit readers may be interested to read about a cycling tour of Croatia reported on in the Telegraph. As the report suggests, cycling in Croatia is very different from somewhere flat like Essex or Holland - be prepared for some steep climbs. If you are a cycling enthusiast, a tour is probably the best way of getting your fix. The Croatian roads are generally not built or travelled with cyclists in mind and we've yet to see a marked cycle path! Watch out for some new pages on inland Croatia in the next week or so as we meander slowly back to Dalmatia, from England, via Osijek and other hidden gems.